The SHA-108BT is a complete PA system in a box. Includes everything you need to start playing out of the box, like a 8ch powered box type mixer with MP3 player and Bluetooth, two 15" carpet speakers, microphone with cable and speaker cables. 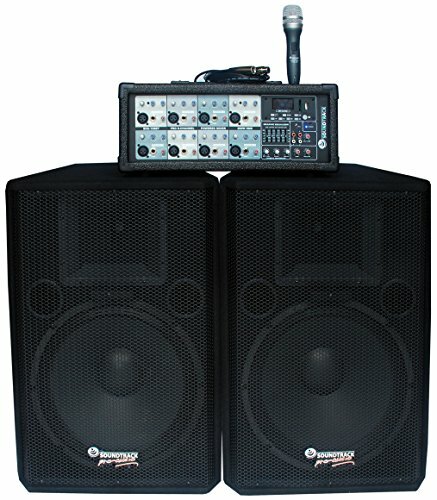 Great system for DJ's, Restaurants, bands, churches, schools... practically everywhere you may need a sound system. If you have any questions about this product by Soundtrack Pro Audio, contact us by completing and submitting the form below. If you are looking for a specif part number, please include it with your message.